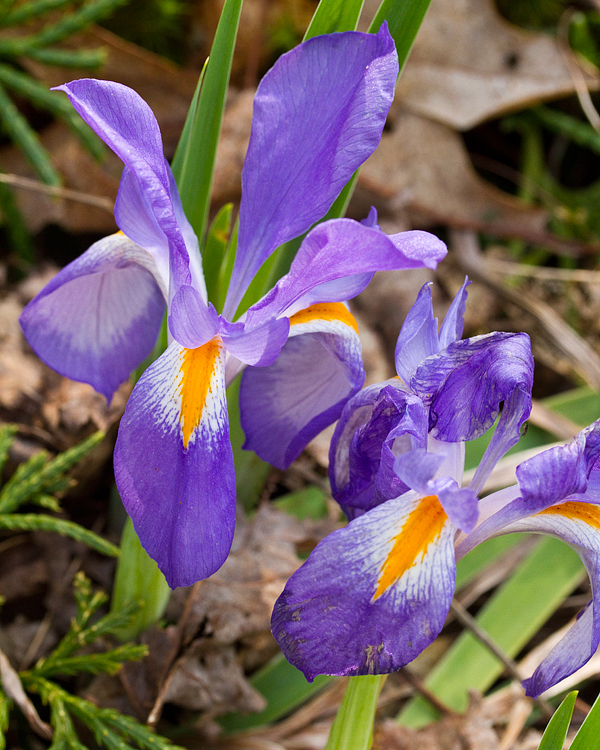 Shawnee State forest has two native Iris species that live in upland woods- not wetlands. These two species are relatively frequent along the roads of Shawnee State forest and may be my favorite plants in the forest. I'm just so fascinated by Irises that live in upland woods, rather than wetlands. Aren't they cool? I like the dwarf crested iris so much that I purchased a nice one gallon pot from Scioto Gardens last year that is quickly spreading in my backyard wildflower garden. I could photograph these over, and over, and over again. I love these little flowers! I planted some in our yard in Virginia and they are spreading nicely. Aren't the great Linda? 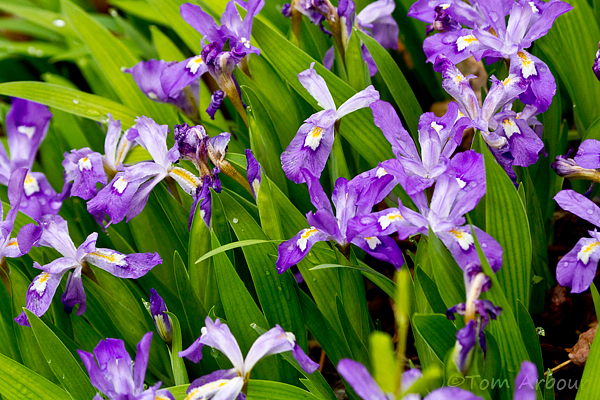 The crested Iris makes a great woodland groundcover. It's a great plant for the home landscape. Also one of my favorites and both species were thick in Shawnee this year. Scott- Yes, they really were thick. And the cold wet weather allowed the Iris verna to hang on a little bit longer. Normally at Flora-quest it's mostly past and no longer photogenic.